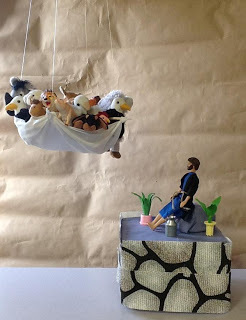 Bible Fun For Kids: 1 Year Blog Anniversary with the Top 10 List! It's hard to believe it has been a year, and with most people's lives, a lot has happened on the blog and personally. 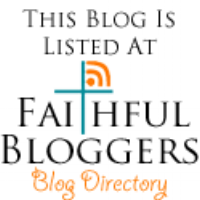 I started the blog because I wanted to be able to share God's Word. I remember when my son was in Kindergarten and I went to his school to 'help' in computer class... it was all new then, and I had to ask him "How do you turn it on?"... "How does this work?"...etc! I still say, if you want to know something about electronics, ask a kid! Also, anyone that knows me, knows I really don't talk that much, I like to sit and watch and listen, so it is really amazing to me that I have a blog! So, that is a little about me! 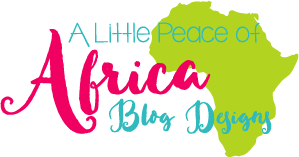 I didn't really know what to expect when I started this blog, but it has been a much better experience than I prayed for! Even with my very limited computer experience... so obviously, I have learned a lot! In a year's time, there are over 150 posts! Most are live, some are ready to be posted. I thought, if just 100, then 500 people look at it a day, that would be amazing! But, after a year there are 2,000-2,500 a day, with the record at 3,097! I can't thank you all enough for the support! I stumbled on a new trick today, and you can click on the picture to take you to the post, instead of having a link under the photo! I know, I should've figured it out a long time ago! 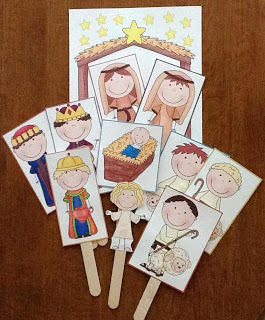 (2) Baby Jesus Song & More was written for preschoolers and I use this with the grandkids during the day. They love visuals on craft sticks that they can hold and wave around! I will add more Bible preschool posts this year, and maybe try to write a couple of my own songs??! The preschool posts have been looked at a lot and this one had over 10,100 hits. (3) Even though I love the Paul & Silas in Prison lesson, I am not sure why it is so high on this list! I will say, though, it is my first-ever-in-my-life attempt at writing a song! I woke up singing the tune and different verses going around in my head and had to write it down! Really, writing songs (or poems) and singing are not things I am good at! And, I was really happy with the song! By the way, my husband is a great sport about it all! I am able to stay home and take care of grandkids, which is the best job there is! That was a Saturday morning, and we had a lot of errands to do, and I said I really have to type this up... he just laughed and said OK! And, that's not even talking about being a good sport at every Dollar Tree, etc. we go to! Anyway, there are almost 9,900 hits for Paul & Silas. (4) The 12 Sons of Jacob vs. the 12 Tribes of Israel is also a top post. This way of using the Science Board to teach the differences between the sons vs. tribes has worked for me for a lot of different age groups. 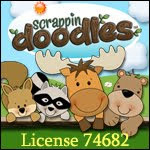 There is a new post coming soon for Jacob with all new printables that will add the women for you. There are almost 6,200 hits on this post. (5) God's Weather for Preschool was a fun one to post! I go outside in the mornings with my grandkids and we look around us to see what we can find that God made. We talk about the weather, sky, animals, colors, whatever. And we have a weather book to record it in. Since it's Memphis, it shows a lot of HOT! There are over 5,800 hits for God's weather. 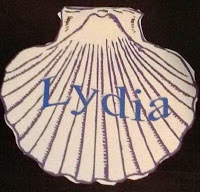 (6) Next is Lydia with over 3,800. She made and sold purple cloth. I always give the kids shells and a piece of purple fabric which they love! So many come to me a year later and say "I still have that piece of purple cloth!" (7) Fruit of the Spirit is a newer post and is next with over 3,700 hits. Fruit of the Spirit is a Bible lesson that is taught a lot, and there are a lot of links online with ideas. So, thanks for stopping by to take a look at it! (8) Cornelius & Peter's Vision is also on the Top 10 List with almost 3,600 hits. This lesson is a fun one! I have them bring a couple of animals, and they get to take home a 'sheet' with more animals. It is a good intro for clean & unclean animals. By the way, when I just told the kids to bring 2 animals for next week's lesson, which is Noah, they asked if we were having this lesson. They loved it and wanted to do it again! (9) Moses & Burning Bush With the 10 Plagues: The 10 plagues was my daughters all time favorite Bible lesson she remembers me teaching in Bible class. So, I teach this every year, usually as Old/New laws combined with Letters From Paul, since a lot of lessons from Paul are what God wants from us now. By the way, I am working on the series from Moses and there will be a new post for the 10 plagues, but more in-depth, with different printables, of course! There are over 3,500 hits for this post. 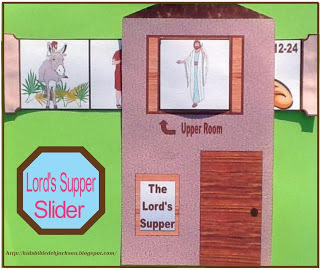 (10) And, last on the list is the Triumphal Entry and Lord's Supper with 3,365 hits. 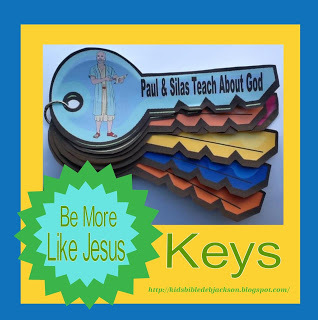 Eventually, I will add more for these lessons, split them up and create different printables, but I wanted to have as many lessons from the book of Acts for this series, so Jesus was condensed. By the way, most people visit from a Google search and... Pinterest! In this post, I thought I would tell you a little about myself. You should have caught that I have a son and a daughter, and I have grandkids. They are, of course, the cutest kids ever! ☺ And I like Smiley faces, that is why you see them in a lot of the worksheets! And, they make the kids laugh and be happy! THANKS so much stopping by! I really appreciate it! Just found you on a bloglovin' hop - totally following now - I love having others around that can add to the activities I need to engage and train my children! Thanks so much! I am glad you stopped by with the invite! I appreciate it and added to the links!